That was my first introduction to Sweet Tea Shakespeare. After moving in to our new apartment in Raleigh, my roommates said that they were making the drive out to Fayetteville to audition for a company that was doing a “lit” version of Romeo and Juliet. “Sounds like fun,” I said, and went right back to drinking my well-deserved margarita. A few days later, when they told me that they were cast as the titular characters, I don’t think any of us knew just how much this “drunk Shakespeare thing” would change us–as performers, and as people. Romeo and JuliLit was the first thing I’d ever seen from STS. I was blown away by the way the modern music and jokes fit in with Shakespeare’s text. Everyone knew what they were saying and why they were saying. They sounded like….real people, not actors standing on stage holding a skull lamenting about poor Yorick. Now, I’m a musical theatre girl. I grew up singing and being in chorus classes, but I never started doing theatre seriously until my junior year of high school. My junior year of college, I was in a production of Twelfth Night. I had absolutely no idea what I was doing, and I thought I was the worst person in the show. In fact, I almost didn’t audition for it because I always thought that Shakespeare was for the most elite actors, and I just didn’t fit into that part. But at STS, they showed me that Shakespeare can be fun and real. I was obsessed. The moment that I clearly remember needing to be a part of a Sweet Tea show was in July of 2017. My roommate Tyler was the male lead in Cymbeline, and so our other roommate Mary Lynn and I drove up to see one Shakespeare’s lesser-known shows (at least to us). Mary Lynn and Tyler have been in several STS shows, and they’re fan favorites–not that I’m biased or anything. So we arrived at the Poe House and I was immediately breathless. This backyard was transformed into a wonderland. Fairy lights illuminated all different kinds and colors of fabrics, preshow was just starting, and the sweet tea was flowing. People were sitting on blankets or in lawn chairs, and the Fayetteville Animal Protection Society was there with animals you could adopt . Tyler ended up adopting a little chihuahua named Queso, who made his stage debut that night. It was the perfect scene. Even after we had to move inside due to a thunderstorm, I was still in awe. Cymbeline was one of the most beautiful shows I had ever seen, and it still remains my favorite STS show. I had been hounded to audition by several people, but the timing never worked out. When the opportunity to be in Pericles came, I grabbed it. This has been unlike any other experience I’ve had. We joke around in rehearsals, we make up things when we don’t know what to do, and we are over the top, as most theatre people are. But when you strip away the sets, and the music, and the costumes, only two things remain: you have to find the honesty in the moments. You have to find the love. Throughout Pericles, and my entire interaction with STS, I’ve been welcomed into this circle of artists and fallen in love again, with these people, with Shakespeare, with theatre. And that’s been the greatest gift I could ask for. 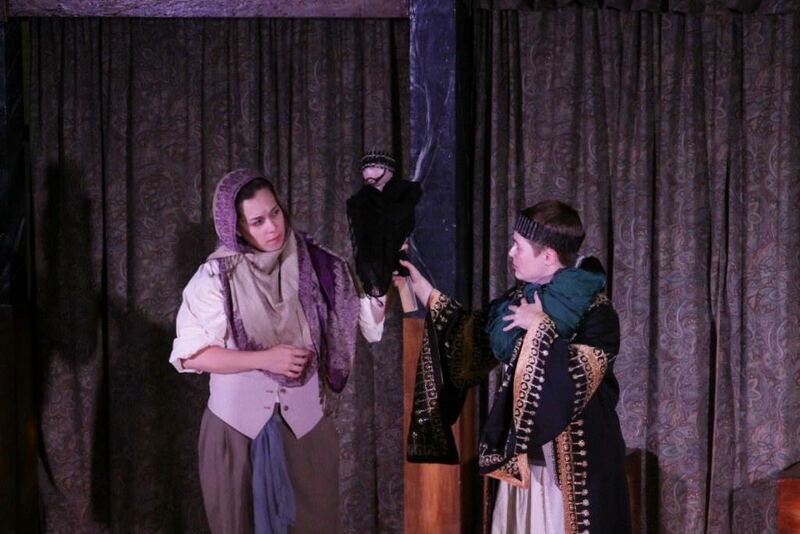 Fall in love with Pericles and The Tempest! Tickets available at http://sweetteashakespeare.com/tickets. In the summer of 2016, I made the decision to take a break from theatre. Many reasons went into this decision, the most important being that I was about to marry my lovely wife Elizabeth. During this two-year hiatus, I yearned to be back on the stage. So when I saw that Sweet Tea was having their summer auditions last year, I jumped at the chance. During our first read-through for Pericles, it was like I had never left. The community I had fallen in love with was back. And what makes this show even better is that I get to work with people that I had only seen on stage. This being Sweet Tea’s biggest summer season yet intensifies the sense of community, which is great. Everyone gets along well and supports each other. Another thing I love about being back with Sweet Tea is that it is one of the few theatres where you get to play multiple characters. In Pericles, I am playing four completely different characters. This allows for a lot change of voice and body positions. I’m a big fan of actors who can change their character with the smallest details, so this makes me extremely excited for the audience to see these characters come to life on stage. 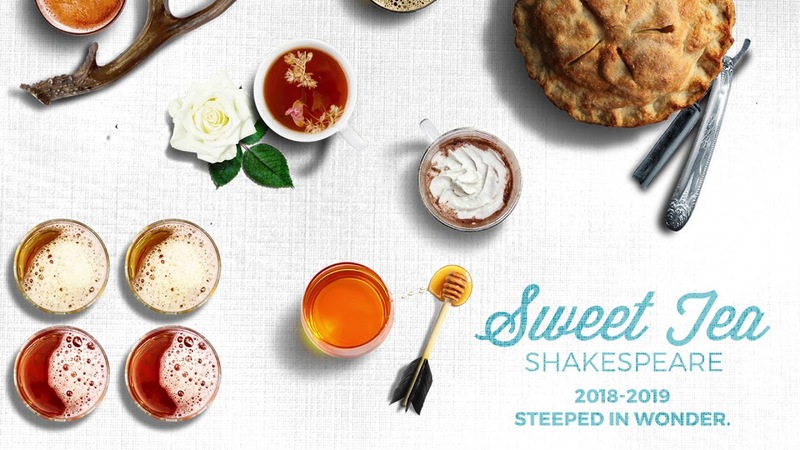 While I don’t regret the decision I made two years ago at all, I am extremely glad to be back in this magical place called theatre with this extremely talented company called Sweet Tea Shakespeare. 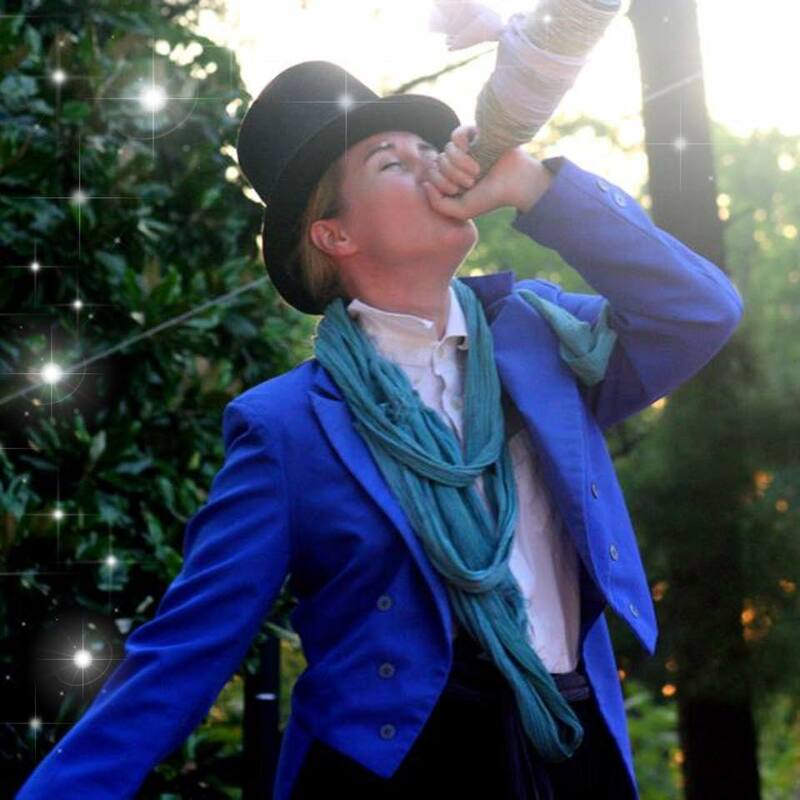 Get tickets for Pericles and The Tempest at http://sweetteashakespeare.com/tickets. Years ago–before I found Sweet Tea–I was a theatre husband. 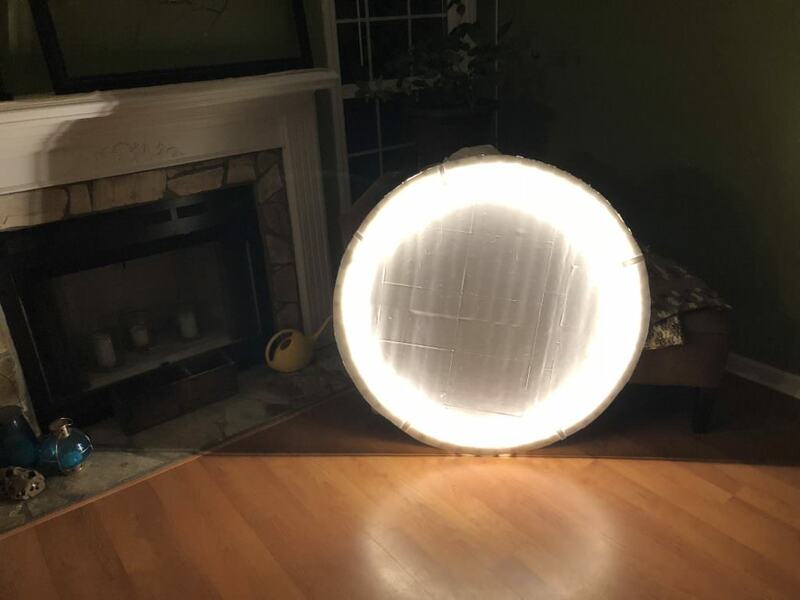 My wife (the incomparable Medina Demeter) is a high school theatre teacher and, for most of her productions, she would need assistance with building sets, props, and other little (or not so little) things. I would show up on Saturdays and work with her students to make what was needed. If I’m being honest, I quite enjoyed playing the part of “grumpy-husband-who-works-in-the-corner-of-the-workshop-making-stuff-who-the-kids-are-scared-to-approach.” I’d lean in every now and then and tell someone they didn’t know how to use a power drill correctly and then show them how. Then I’d stand back and cringe as they failed to take my advice and trashed yet another Phillips head driver bit and stripped yet another screw. When Medina auditioned for, and was cast in, Sweet Tea’s production of Julius Caesar in 2014, she mentioned that they could use help with “production-y” kinds of things. I thought I might be able to make myself useful there, so I made myself available. Of course, this involvement eventually led me to become the Master of Note and Figure and an Assistant Artistic Director in the company–but that’s another story. My hopes of building things for Sweet Tea shows proved to be warranted, and the opportunities plentiful. Through recent years I’ve built all kinds of things: shadow puppets, papercraft dog masks (so…many…), a wind machine, stage boxes, crown molding, rigging cables for outside (and inside) use. You know: theatre stuff. However, this process is building our muscles in truly exciting, hopefully permanent ways. 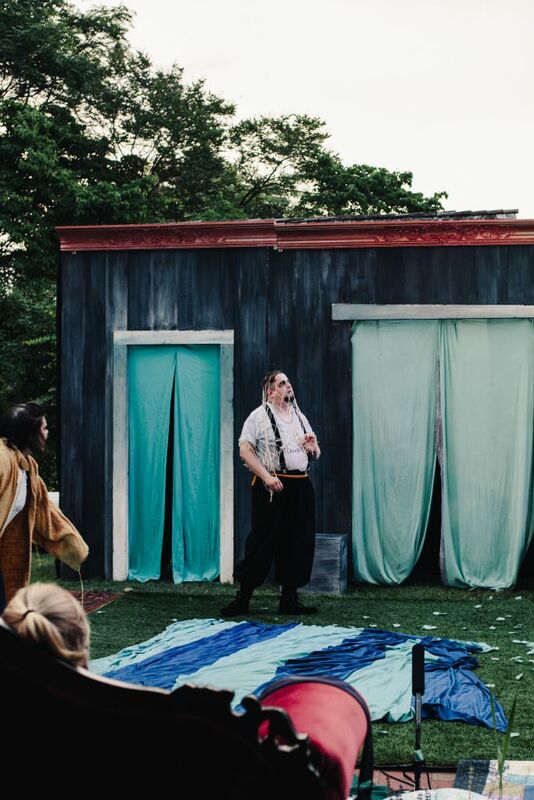 It’s exciting to know that we’re moving closer to the model of rehearsing and performing multiple shows at once that Shakespeare and his company followed and that aspirational contemporary companies like the American Shakespeare Company and Bedlam follow now. It’s exciting to know that we’re capable of doing more good work in less time than we’re used to. Just as you can’t improve at the gym unless you push yourself past your comfort level, we can’t improve as a theater without pushing ourselves to the next level. We are building better theatrical muscles through this process, and the result is going to be a pair of powerful shows. Come join us at The Tempest and Pericles this summer–we’ve gotten our reps in.